Vedas are the pillars of the Hindu teachings. The Veda means wisdom, knowledge, and vision. The Vedas explain the obligatory duties of Hindus at birth, marriage, death, etc. There are four classifications for Vedas: The Rig Veda, The Sama Veda, The Yajur Veda, and the Atharva Veda, the Rig Veda being the heart of the Vedas. The Vedas are collectively known as Chathurveda. Each of these Vedas consist of four parts: The Samhitas (Hymns), The Brahmanas (Rituals), The Aranyakas (Theologies), and the Upanishads (Philosophies). The Vedas were handed down the generation by oral tradition for many centuries. 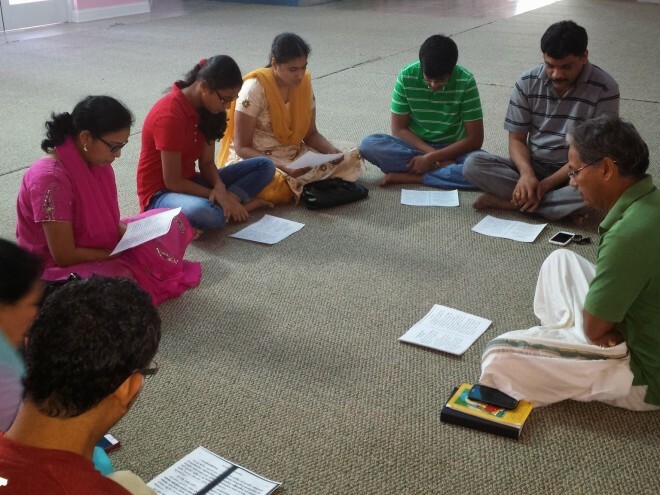 SSNO continues the tradition by offering Vedic chanting classes for all who are interested.